The HealthMPowers Body Walk is a curricular tool that is utilized to generate enthusiasm and provide a unique teaching environment for health and physical education concepts to elementary-aged students. The Body Walk allows students to tour various body parts, get to know the “OrganWise Guys” that live in their body, and learn how to take care of those “guys”. 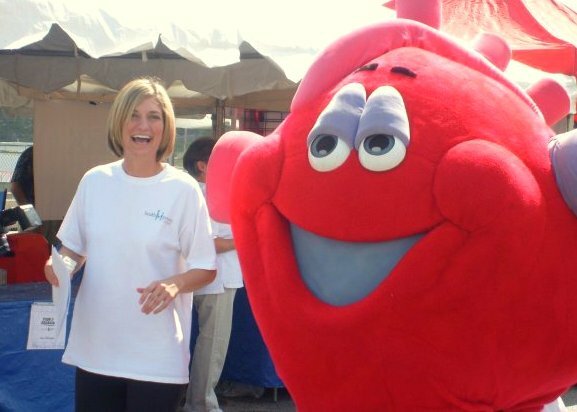 The “OrganWise Guys” are a group of body organ characters, developed by Wellness Incorporated. They include: Hearty Heart, Windy Lungs, Sir Rebrum, Calci M. Bone, Madame Muscle, the Kidney Brothers – Sid and Kid, Luigi Liver, Peri Stolic, Peter Pancreas and Pepto. These characters help teach young children physiology and lifelong healthy behaviors through read-along books, games, dolls and informational videos. The HealthMPowers technology, including computers and audience response systems, help these characters come to life in very interactive ways. See www.organwiseguys.com for more information about the “guys”. – A walk-through exhibit providing a colorful and enticing staging area for memorable learning experiences about health enhancing behaviors and choices. – Classroom activities and suggested resources for teachers to use to prepare the students prior to their walk-through the exhibit and to reinforce the learning afterward. – An optional booklet for students to use in the classroom or take home and read with their families. – A list of additional education resources. – Information to help publicize the event and communicate with the media. At each of the nine stations students will meet a specific OrganWise Guy character and learn about his/her role in the body. Students will also learn about the health-enhancing behaviors they must practice to keep their OrganWise Guy healthy. The students exit the body through a cut in the skin and move to the “Body Walk Pathway to Life” for a recap of the health-enhancing behaviors from the various stations. To maximize the impact of the Body Walk, classroom teachers, school food service personnel, parents, and community members will be involved in planning and presenting the program. Twelve to fifteen volunteers are used to help deliver this unique learning experience. HealthMPowers staff will direct and train these individuals for the exhibit experience and for reviewing and reinforcing the exhibit lessons. Curricular and educational materials have been developed and will be distributed to each child, provided that funding is available.